Continuing with the tradition. 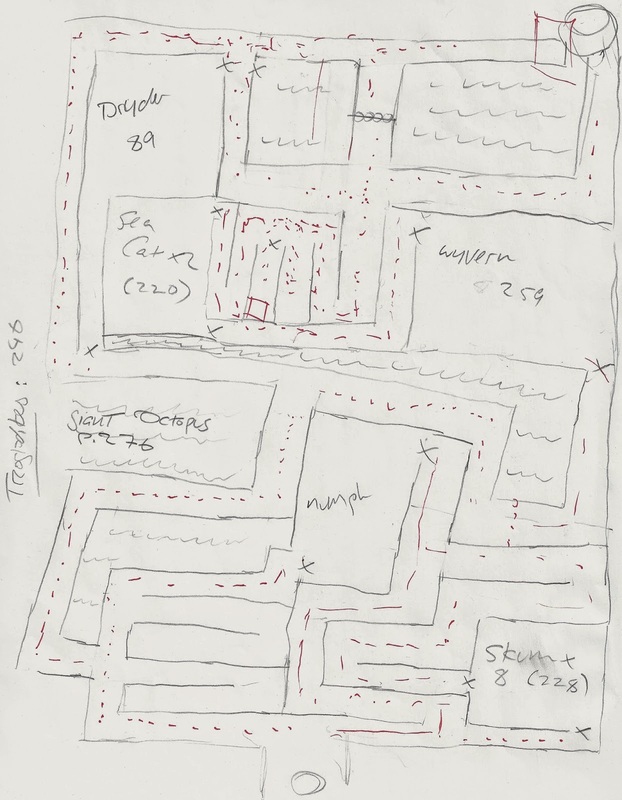 the Second Minotaur's maze was created and populated in 20 minutes. Elijah went for an ocean theme this time, and the dungeon featured many water creatures. The limestone walls of the dungeon were half carved and half a natural cave system along a cliff, and had a population of troglodytes living below. Raymond and Robert plowed through this dungeon with ease! There is not stopping them now!